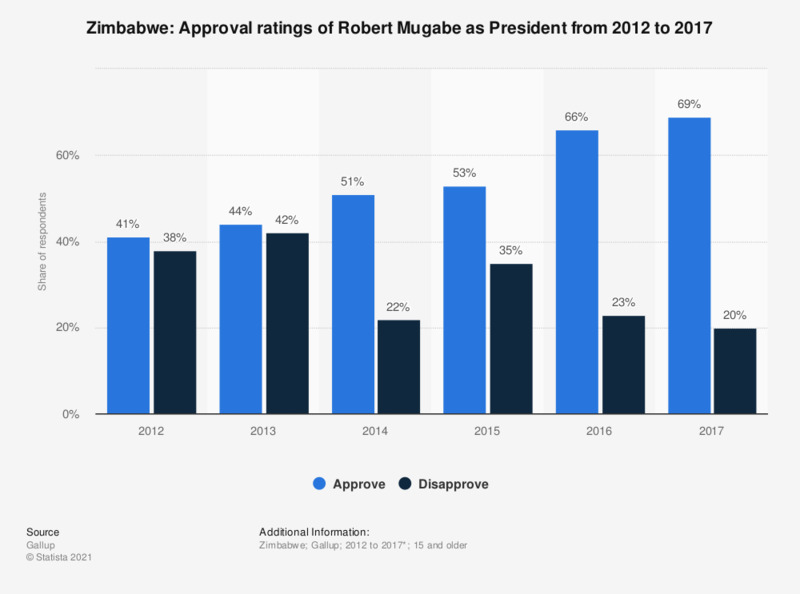 This statistic shows the results of a survey conducted annually from 2012 to 2017 in Zimbabwe on the approval of President Robert Mugabe. As of May 2017, 69 percent of respondents stated they approve of Robert Mugabe as their president. Mugabe was ousted by the military in November 2017, after almost 40 years in office. * For 2017, the survey was conducted from April 8 to May 8, 2017. The source does not provide information on the exact dates for previous years.